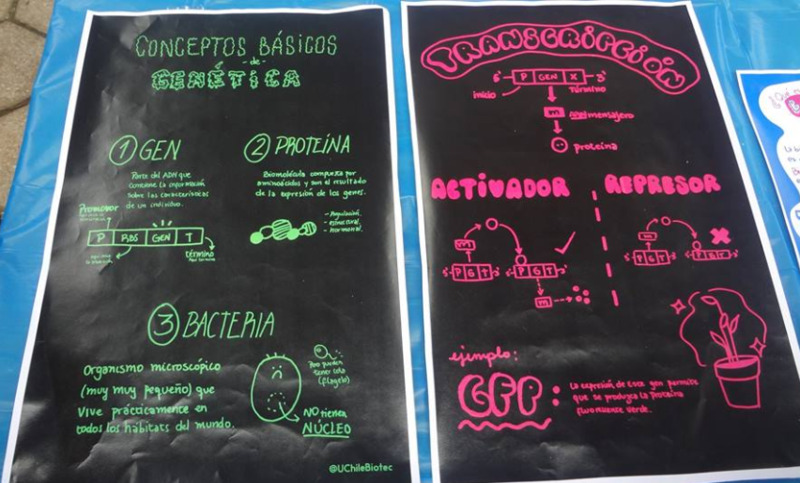 Principles of synthetic biology: We will talk about the fundamental concepts that we believe should be present in a synthetic biology course: standardization, abstraction, and modularity. The ideas behind each concept will be exemplified with everyday elements. It will also be exemplified by examples of Synthetic Biology. Particular emphasis on modularity: Capacity that has a system to be studied, seen or understood as the union of several interacting parts that work in solidarity to achieve a common goal: We have developed this concept with the use of pieces of uniform wood that they represent sections of DNA, RNA, and balls that represent proteins. The plan is for young people to be able to visually and interactively understand how processes such as regulation, metabolic pathways, obtaining proteins of interest, etc. work. 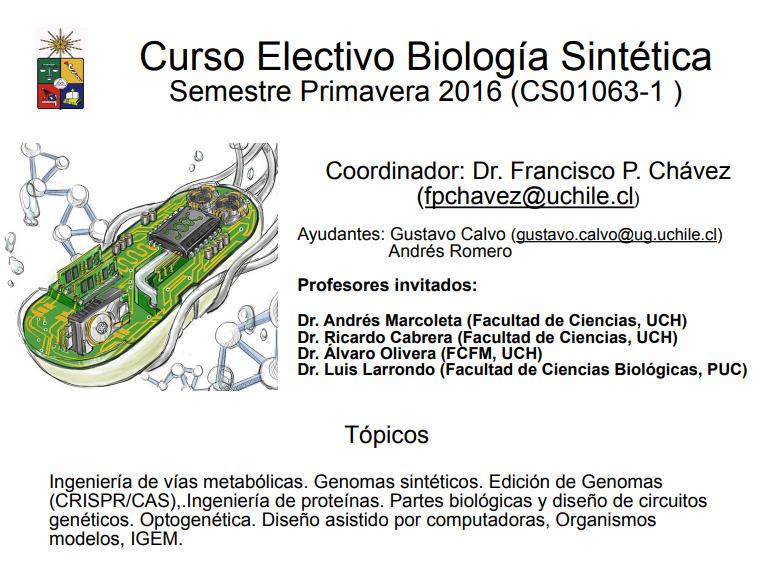 Advances in synthetic biology: It will show the great benefits of working with synthetic biology: medicine, environment, materials, etc. For this, it will be exemplified using the modules described above and emulating the solution proposed in the different investigations. Behold, this document contains all of the description, material, and photos of our workshop. 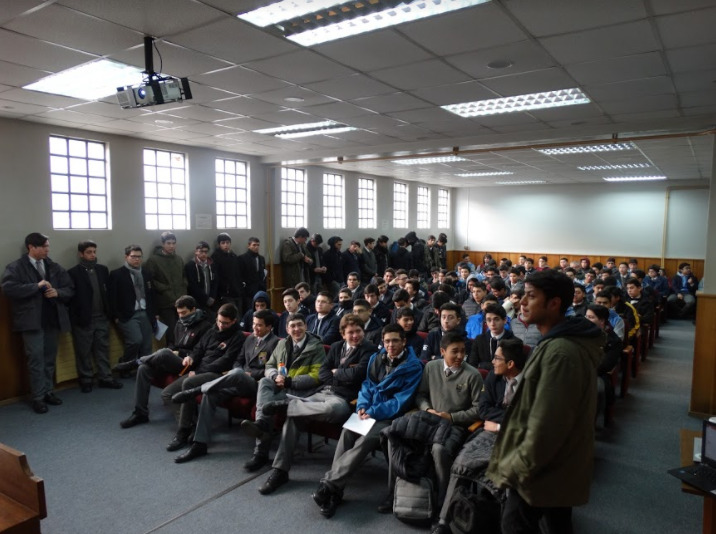 Along the year, we were introducing Synthetic Biology to people, specifically to students of schools. 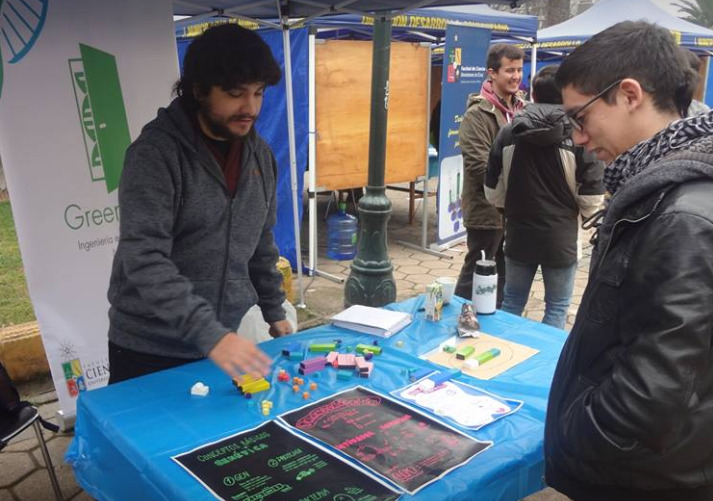 We were teaching people about what is Synthetic Biology and why it is so useful. 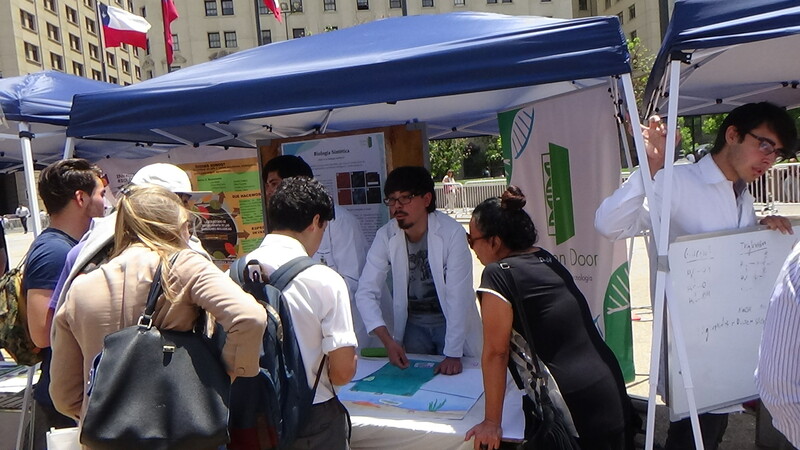 We participated in science fairs with a stand where we explained our work and explaining Synthetic Biology to the public. 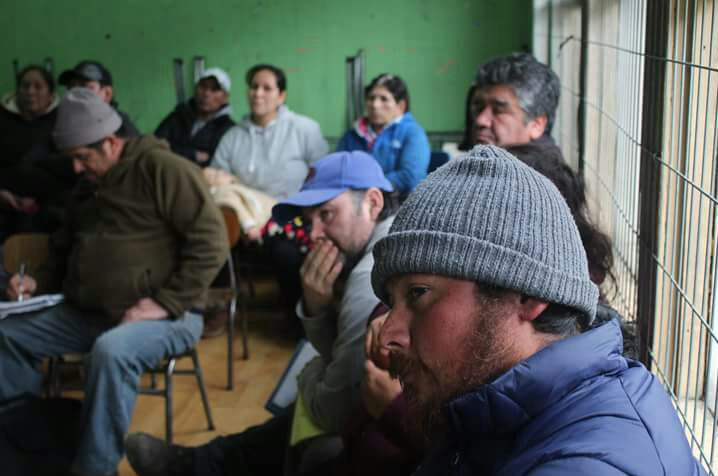 Taking advantage of the circumstances, we have also tested our workshop with different audiences, in such a way that we can define in the best way who our possible students will be. We were in Plaza de la Constitución, place behind of Palacio de la Moneda in Santiago; in Plaza de Ñuñoa in front of Town Hall of Ñuñoa, and in a park on Renca. 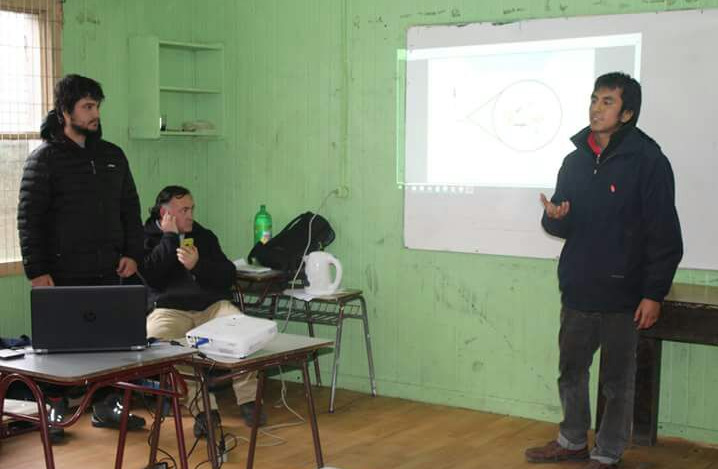 Also, during our stay in the zone of Puerto Montt, we went to school Liceo de Hombres Manuel Montt and introduced SynBio and the phenomenon of red tide to the students. This work was replicated in the different Labor Unions of the zone, were also, we talked about red tide in the zone and his biological causes. 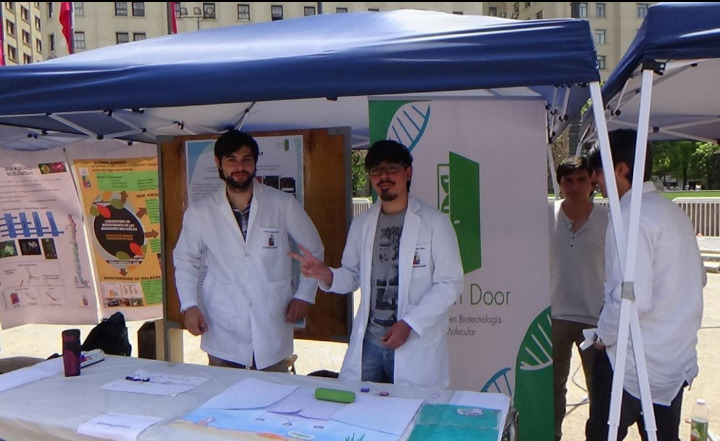 The following gallery contains photos of our team in different schools and scientific fairs, transmitting the knowledge of synthetic biology and testing our workshop. Please, click on the arrow to activate the gallery! Our project didn't go unnoticed by the press, we got mentioned a lot in various national media. 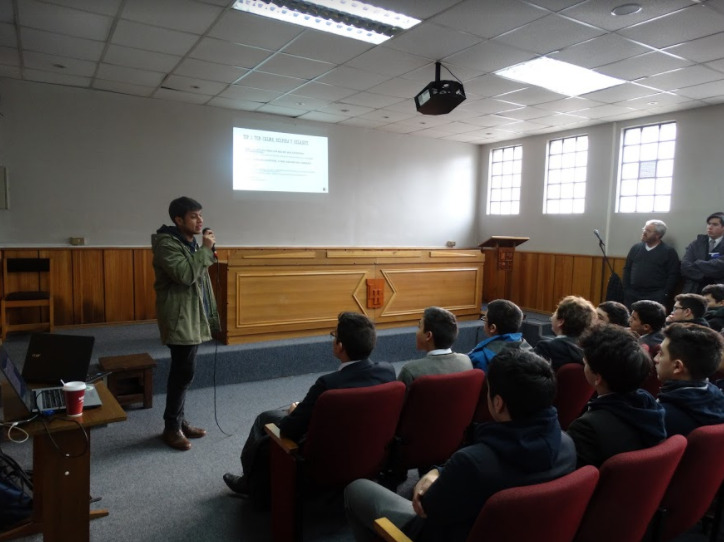 Our team was interviewed by the Radio of the University of Chile and placed as a note on the website of our university. 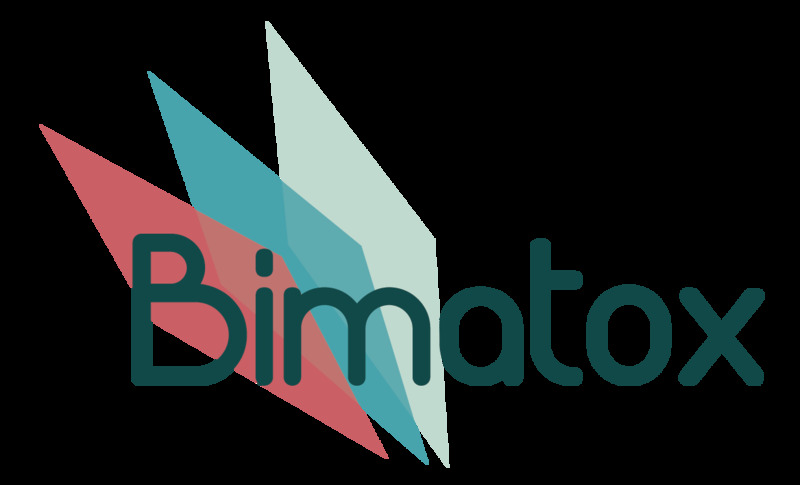 Soon the information began to spread and different newspapers and national and international websites put Bimatox as a Chilean youth innovation with reasons to solve serious problems such as the red tide: El Mercurio, Aqua (national aquaculture magazine) and Bio Bio Chile (national radio station) are some examples. If you want to see it, please click here! (Because we live in Chile, all the news are in Spanish).